Let’s face it. Bathing and grooming your dog is one of the most challenging tasks associated with owning a dog. And the expensive rates of a professional breeder doesn’t help either. Here’s where being able to give your dog a professional bathing experience yourself and at the comfort of your home can turn out to be incredibly useful. But the question is, can you really bath your dog the way professionals can? Well, you certainly can with one of the best dog grooming tubs reviewed below. Why Are Dog Grooming Tubs Expensive? How To Make Your Dog Like The Tub? When we put “professional” in the title above, we really mean it. It might seem on the expensive side, but it’s actually an amazing value for money for both professionals and individual dog owners. First things first, you can expect to not have to replace this beast for a long time to come, thanks to a 16-gauge rust-proof steel construction. It’s also just as versatile, coming with a removeable overhead arm with loops that allows you to modify the bathing environment depending on your dog and your preferences. The back-splash and side-splashes with waterproof seals are removeable as well, which further add to the overall versatility. Unlike some other cheaper products, there are no leakage issues whatsoever, as the high-quality construction ensures great sealing. It’s also a complete package with a sprayer, a faucet with hose for both cold and hot water, hair trap, shampoo rack, walk-in ramp, floor grates and a plumbing drain hose. The floor grates can be adjusted the way you like, allowing you to create a perfect bathing and grooming environment for both small and large dogs. A professional breeder did mention in their review how it turned out to be a perfect choice for bathing different dogs every week, while also being easy to clean. If you’re a professional, you would be hard-pressed to get the kind of versatility and durability this product offers, unless perhaps if you’re willing to spend much, much more. It’s amazingly versatile while being extremely durable, and allows users to create a highly customized bathing or grooming environment for their dogs. This is another professional-grade dog grooming tub that would work great for professional breeders, but it’s a much cheaper and budget option. There’s absolutely no compromise on the quality or durability despite the huge price difference, as this product too is made of 16-gauge rust resistant stainless steel. It’s sturdy enough to hold dogs weighing up to 260 lbs, meaning it would be able to handle the heaviest of dogs out there. The versatility and functionality is pretty similar to the product above, with the back-splash, side-splashes being removeable and the floor grates highly adjustable. It’s very spacious and even the largest of dogs would find it comfortable. The stairs are well-made and complement the overall functional design with no leakage issues. Finally, unlike some of the other products in this price range, this product comes with legs that are thick and sturdy with quality rubber foot pads. It’s a truly professional grade dog grooming tub with lots of useful features and accessories and also a great level of versatility. However, its price is surprisingly affordable, despite no compromise on the quality or safety, making it a perfect choice for anyone looking for a super functional, heavy duty grooming tub on a budget. This product is pretty similar to the one above, but it’s slightly cheaper with the quality of some of the parts not being as good. Some users have specifically had issues with the faucet and sprayer head, with their quality being a bit of an issue and some of the parts needed to attach the faucet missing in the package. That said, these issues aren’t anything major, and unless you go too rough with your use, it would hold up just as well, especially for household use. However, apart from the faucet and the sprayer head, the rest of the accessories and the overall construction is pretty solid and well worth the money. You get almost all the features of the above product with just as many accessories and a similar level of versatility. If the minor issues mentioned above aren’t a deal-breaker for you, then you would be pleased with what this product offers as an overall package, both in terms of the quality and versatility. This is another great value for money product with solid construction, being made of 16-gauge rust-resistant stainless steel. It’s a fully welded one-piece tub, meaning that there would no leakage issues. Even the sliding door is equipped with watertight seals to avoid any leakage through the door which is common with cheaper products. It’s designed extremely well with a great height, and customers have been mentioning in their reviews how it has turned out to be a huge relief for their back. It’s also one of the largest tubs you will find on the market, making it a great fit for both professionals and people with large dogs, thanks to the combination of a generous size and great durability. The plastic ramp is another great feature and it slides back in as the dog enters and leaves. You also get a sturdy overhead grooming arm with 2 loops, drain, anti-slip mat, hair trap and 4 adjustable levelers. Its size is certainly one of the most impressive things about it, but you also have a great quality, fully welded one-piece construction, watertight seals, perfect height and other features that make it an amazing buy. If you want to stick to an extremely reliable brand in the pets category like Flying Pig Grooming – but have a lower budget – then this is the product you would want to consider. Coming from a great brand, the quality and overall construction is as good as it can be with the rust-proof, 16-gauge 304 stainless steel. In fact, you get pretty much the same product as our top pick above, but in a much smaller size. Yes, you have a great level of versatility as the drain works with a variety of plumbing configurations, height-adjustable leg levelers, removeable backsplash and sidesplashes, and many other features. This product is as functional and high-quality as it can probably get at this price. If the small size is not an issue for you, then you’re certainly getting a great deal here given the much cheaper price compared to the larger version. Well, you probably already know how a dog grooming tub might help you take care of your dog’s grooming and bathing tasks much better than you can without one. However, let us still give you a quick overview of what exactly it might bring to the table for you. Now, first things first, if you’re a professional groomer or breeder, one of our best dog grooming tubs above is a no-brainer for you. 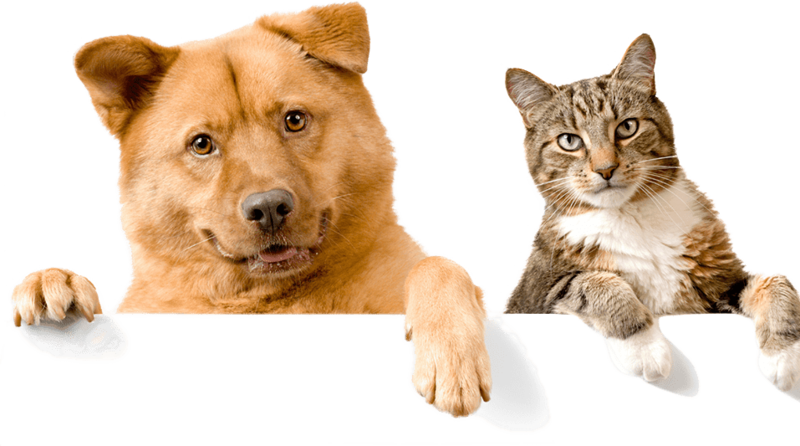 They are a must for offering a great grooming or bathing service to dog owners, and the good ones can really help you deliver great results with less efforts. Coming to individual dog owners, a dog grooming tub can make it so much easier to bath and groom your dog. You really wouldn’t mind bathing your dog more often if need be, which you would otherwise be reluctant to do, as then the task can be so daunting and time-consuming. Further, it’s also a much safer way of bathing your dog. 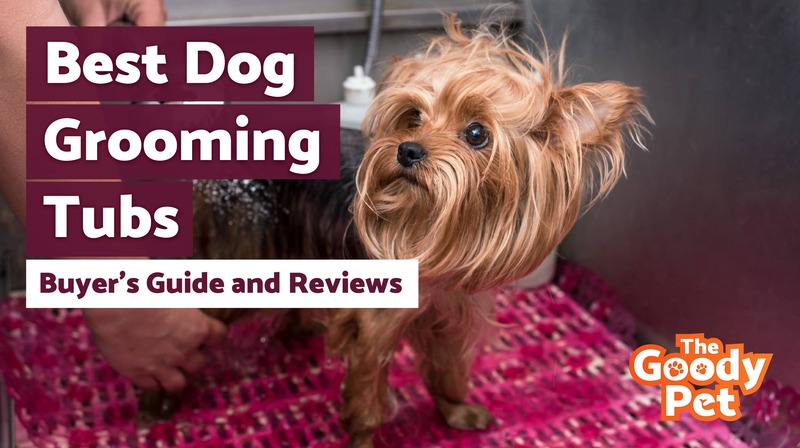 The good products – like the ones we reviewed above – are made keeping the safety of your dog in mind, which would help prevent the risks associated with bathing them in a traditional bathroom setting. All the products reviewed above come with one or more loops, which hold your dog in place securely as you bath them well, so they are never at a risk of getting hurt. The better products like some of our top picks also come with adjustable floor grates, meaning that you can adjust the height of the tub’s floor according to the size and height of your dog, and your own height too. Be sure to use a specially formulated dog shampoo too! Stay aware from human shampoos as they are not suitable for your dog’s skin. This makes the bathing environment much more comfortable for your dog, while making it more convenient for you. Similarly, the adjustable floor grates, or a grooming tub that’s designed well and comes with a good height, would help you bath your dog without having to bend down every now and then. Your back would really thank you when you start bathing and grooming your dog in a grooming tub. There are also other benefits, but as you can tell, a good grooming tub would make bathing your dog much more convenient, easy, fun and safer in general. Now, you do understand the benefits of a good grooming tub, but do they really need to be that expensive? In fact, you might have done some research yourself, and found that there are many products that are way cheaper than the ones we reviewed above. However, you will also notice that these cheaper products differ greatly from the ones we reviewed above. As far as professionals are concerned, the cheaper products are not even an option for them, as they will not work for larger or heavier dogs, won’t be heavy duty, require much more effort, and have other issues that make them just a bad option all-round for offering a professional service. Now, for individual use, the cheaper ones are also an option. However, most of the issues we mentioned above remain for them as well. They are usually made of plastic or some other material that’s much less durable. The difference in the convenience you’re offered, too, would be huge, meaning the cheaper products would mean you having to put in much more time and effort. More importantly, the safety can be a bit of an issue as well, especially for larger or heavier dogs that do weigh a bit on the higher side. Some other issues include that they may also be much harder to clean, not as well-designed, and most of them are also not sized generously enough to allow large dogs to sit or stand comfortably. Throw in the fact that these tubs may not last you anywhere near as long as one of the above products would, and you would quickly realize how our picks might turn out to be a more economical and a much better option overall in the long run. While all the products we have reviewed in this post are great for their price, the most common and challenging issue you may face with all of them is that your dog may be a bit reluctant to adapt to them. The tub might look intimidating to them, or they may just not feel comfortable bathing in it. This can make a bit inconvenient and difficult for you to bath your dog in the tub. A good way around this is to not force your dog in, but to introduce it in a good way. What you can do is put some treats in the tub and let your dog go in to have them. Follow-up with tons of positive reinforcement - by patting and praising them for doing so. Then once they are familiar with the tub and see it as a positive place, you can go for the first bathing and grooming session. At the same time, start working on associating the tub as a place of bathing and grooming to your dog. Finally, giving treats and praising them after the bath session, too, would help in reinforcing their belief of the tub being a “positive” place, and they may as well start enjoying the bathing experience in it. There are some factors to consider when going for a dog grooming tub no matter your budget or the type of grooming tub you’re looking to purchase. There are other factors and features worth considering as well, which have been covered when reviewing the products above. As someone with a fair bit of expertise about anything that has to do with pets, and dogs in particular, we can safely say that our top pick, the 50” Flying Pig Grooming Dog Tub is your best bet hands down. It’s large, spacious, comfortable, convenient, versatile and the list goes on. Yes, it’s a significant one-time investment, but if you see yourself bathing your dog (or another one after them) for years and years to come, then it’s an absolute no-brainer.